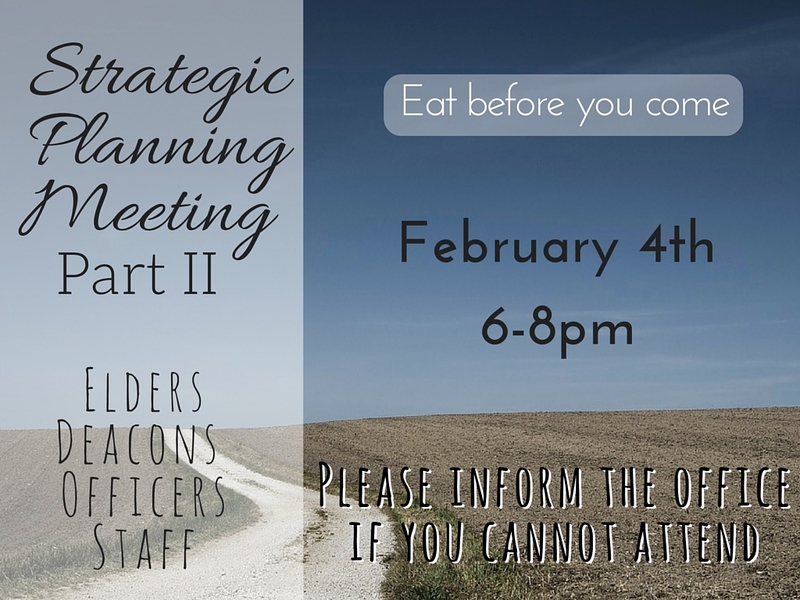 All officers, staff, deacons, and elders are requested to be present at the 2nd Strategic Planning Meeting this Thursday from 6-8pm. We will be doing analyses of our church and ministry. All are welcome. Please eat before coming so we can devote the full two hours to our communal work. « Busy February for all the kids!